Duplicate File Remover Pro is a really fast duplicate searcher for Mac. Moreover, the application allows you to set up the file size threshold to be searched. This is a useful feature when you want to preview only the biggest duplicates to quickly free up some space on your drive. Read on to learn how to change the size of duplicate files to be scanned. Note, by default, Duplicate File Remover Pro finds duplicates by skipping the smallest files. That’s done to give it better performance especially when it’s scanning huge and slow external drives. However, this behavior can be changed using the app’s preferences. 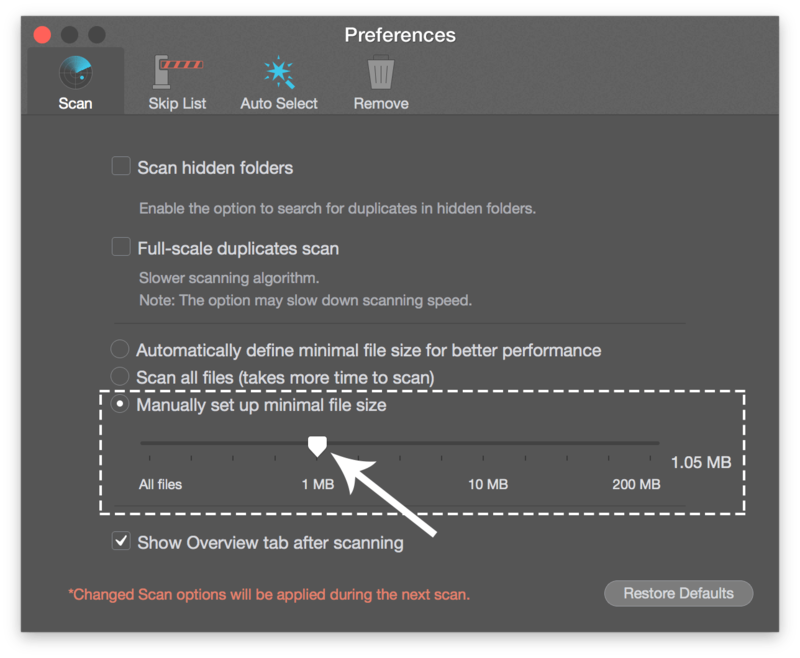 Enable this option if you want to change the size threshold of files to be scanned by Duplicate File Remover Pro. Just move the reflection on the slider and set the size you need, from All Files to file size 10 MB, for example. 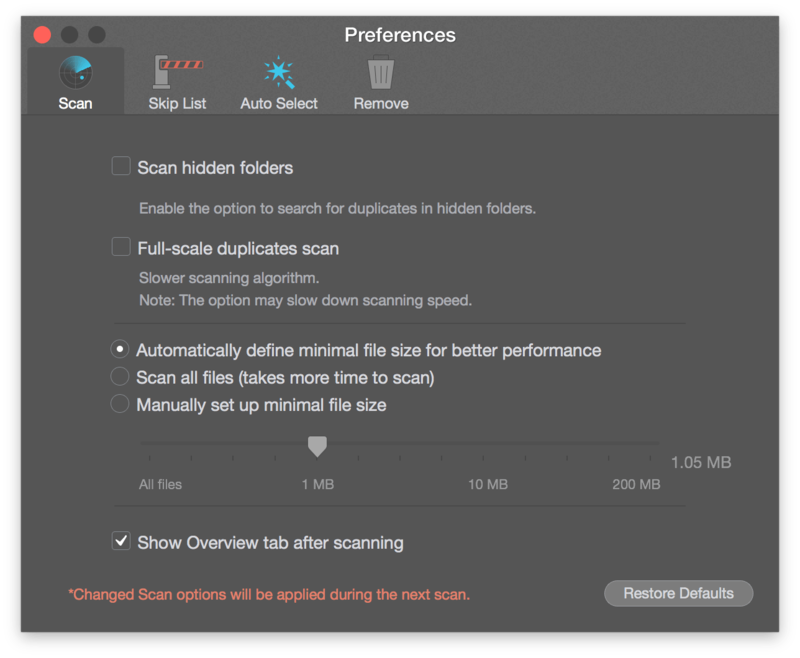 This option is especially useful when you scan large storages with a large number of small files and want to find only bigger duplicate files. For example, if you set up the slider at 1 MB, the Duplicate File Remover Pro will skip all files smaller than 1 MB and show you only big duplicate files. For your convenience in most cases, we recommend that you use the automatic mode of defining the minimal file size. However, it’s your choice and you can change the Preferences to suit your needs.